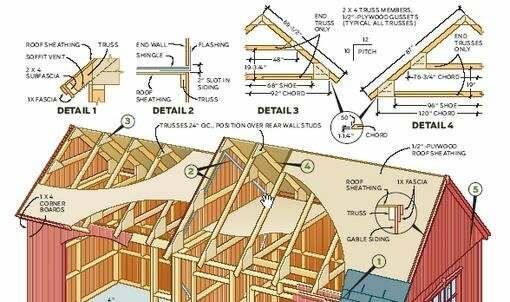 Got some very nice shed plans, poured my concrete foundation, and am now looking at the plans for walls/truss assembly. I can't tell how large this shed actually is. I would just use plywood, glue and wood screws on both sides.